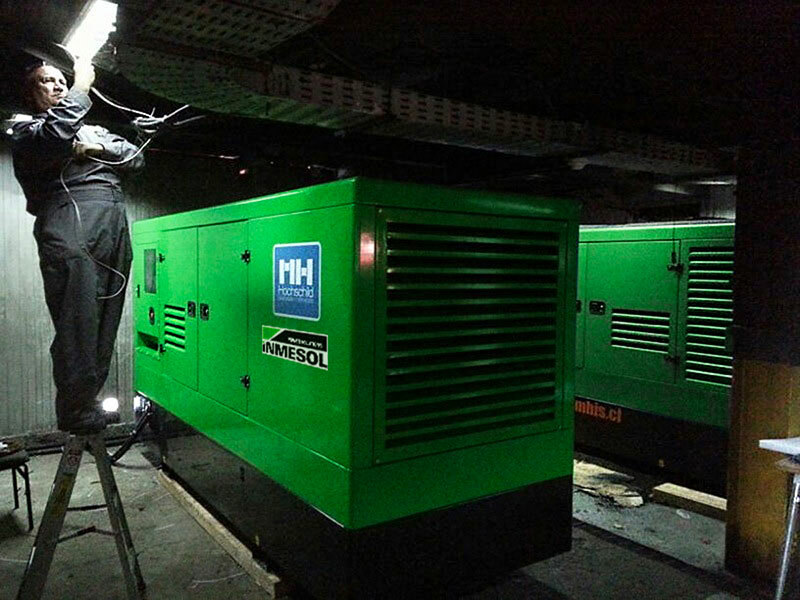 The Chilean company Mauricio Hochschild has expressed its confidence in Inmesol with the purchase of two of our 250 kVA generators to supply electricity at the Chilean Army’s Bernardo O’Higgins Base in Antarctica. 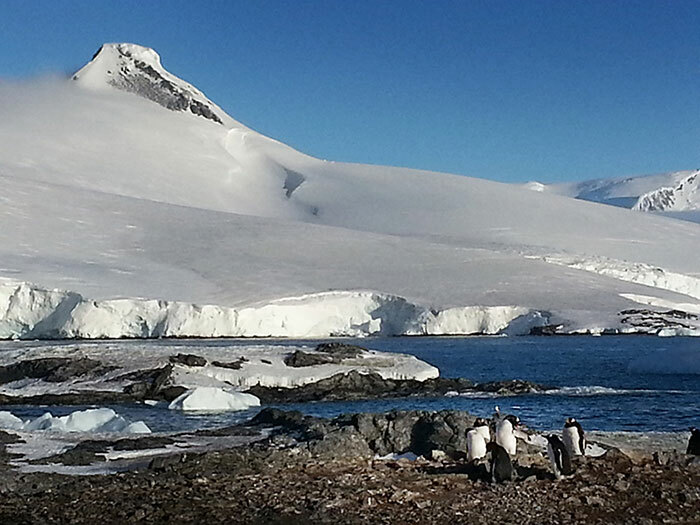 The base, which is now 65 years old, is located on the Tierra de O’Higgins (O’Higgins Land) peninsula in the Chilean Antarctic Territory. In summer the temperatures rarely rise above 0oC, while in winter the average temperature is –12˚C. However, very high winds, typically of about 150 km per hour, mean that the Wind Chill Temperature is about -60˚C. 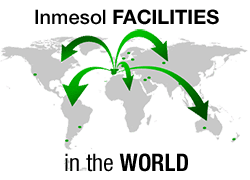 In this location of freezing temperatures Inmesol generators are providing the power supply so that the staff at the base can have sufficient light and warmth for comfortable accommodation. 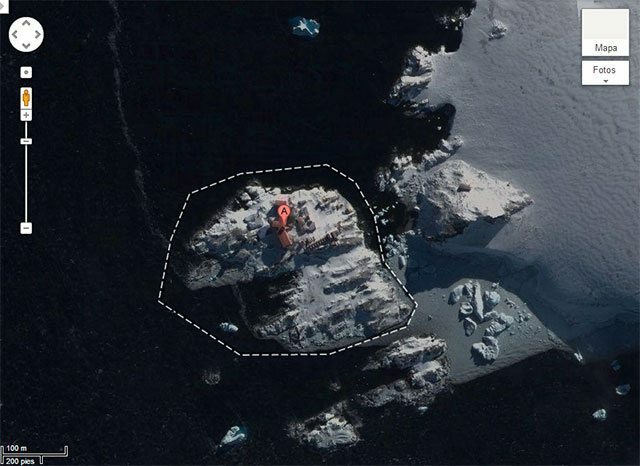 Google Maps image of the Chilean Army’s Bernardo O’Higgins Antarctic base. 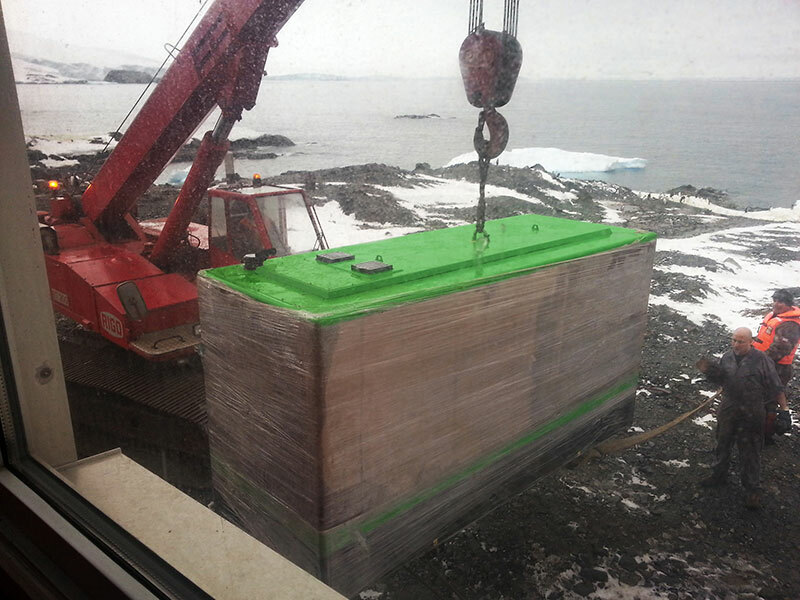 One of the two Inmesol generators during installation procedures at the Bernardo O’Higgins Antarctic Base. Video about the Bernardo O’Higgins base. Installation at the base of one of the Inmesol generators acquired by Hochschild.